Durable polypropylene protects your pages from damage. Translucent cover window holds your title page. Acid free and archival safe to keep documents in optimum condition. Interior pockets keep your pages well protected. 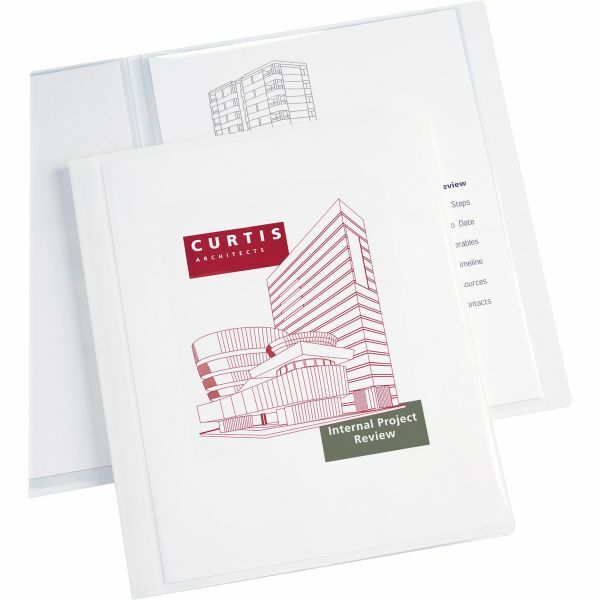 Avery Classic Presentation Book, Letter Size, 12 Pockets - Your report is a real page-turner when it's displayed in this Classic Presentation Book. Durable polypropylene provides a sturdy cover for your important information. A window on the front cover allows you to insert a customized title page and spine that boldly announces the contents of your report. Twelve clear pockets inside the cover protect your pages and allow readers to flip through with ease. The acid-free, archival-safe plastic preserves your documents and won't stick to the print or to other pages. Predesigned templates and software at avery.com provide easy customization of title pages. It all comes together to form a book your readers can page through again and again. Book contains 12 pockets to hold documents.